Having led the creative for a competitive pitch we set about redesigning the website for The Co-op. This included not only their Personal Banking branch, but also Business Banking and conversion funnels for their Insurance products. A key principle behind our approach was that we were designing an experience for the customers of The Co-op rather than their business. Working closely with Strategists we developed Qual & Quant user research, from face-to-face interviews through to polls and surveys, leveraging the existing traffic on their site in order to get relevant respondents. 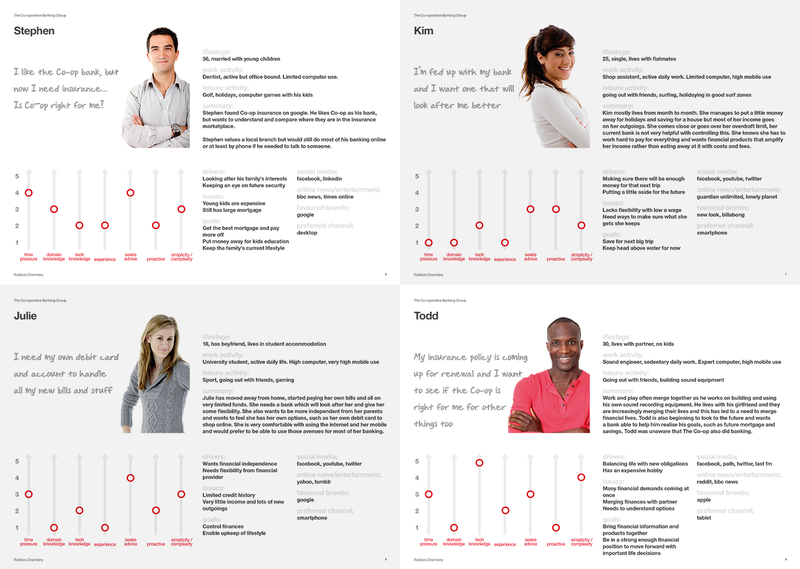 With insights gleaned from this research we collectively defined a set of personas. 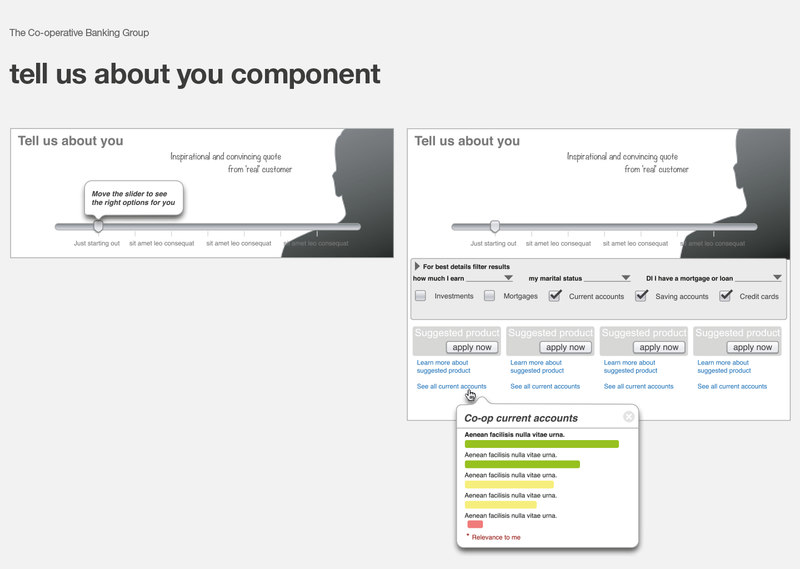 Against these personas we created a variety of Customer Experience journeys, with led in turn to the development of wireframe concepts and a basic model of the interface we wanted to test. One of the key concepts we worked on was the notion of a 'Conversational UI', the problem we observed was that traditional banking experiences flooded users with complex and potentially boring information, so we decided to turn the focus of our experience away from the products and out the user at the heart of the experience. 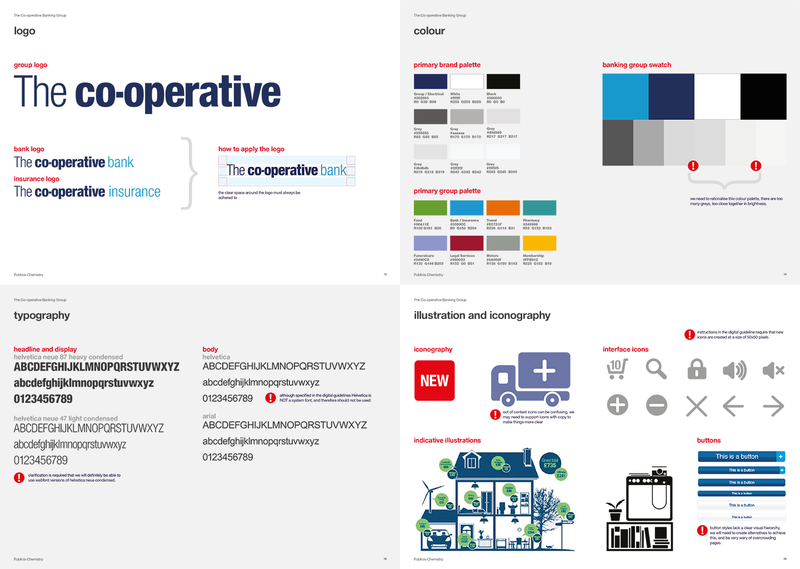 In tandem to the UX work we started looking into how The Co-op Bank expresses itself online. Our process kicked off with immersion, which included a competitor and lateral brand analysis – to understand the competition and landscape the brand exists within, a brand audit – to see what visual tools are at the disposal of UI design.